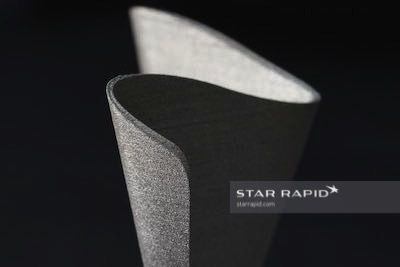 At Star Rapid, our 3D metal printing service offers customers the ability to create complex parts in aluminum, titanium and stainless steel using our Renishaw AM250 DMLM laser melting machine. 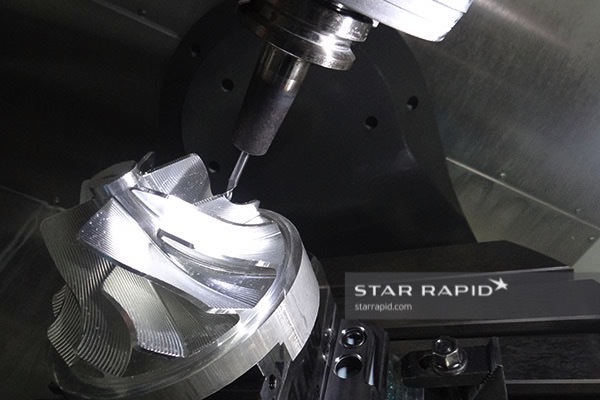 Once the additive manufacturing is complete, most parts require some form of post-machining using subtractive manufacturing techniques where material is removed by CNC milling and turning, drilling or grinding. That’s why we created our AddSub® service. 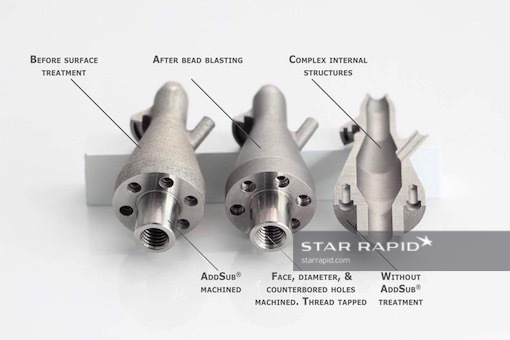 Simply put, AddSub®is the combination of both additive and subtractive manufacturing done under one roof. Many people are excited by the new possibilities of 3D printing, and for good reason. However, despite being able to make complex designs possible, there are still some inherent limitations. 3D printing is not ideal for making fine surface finishes, accurate holes, threads or flat smooth mating surfaces. Many other companies are unable to provide both additive and subtractive services in-house which is why we are so proud of our AddSub® service. We combine both services in our one manufacturing center and can control costs by streamlining the entire production from printing to post-machining, inspection to shipping. This service allow us to be your one stop shop when it comes to 3D metal printing. Nothing is left to chance and you have a single point of contact to ensure you get exactly the part you need. Contact our 3D printing team to get a free AddSub® quote for your next project. 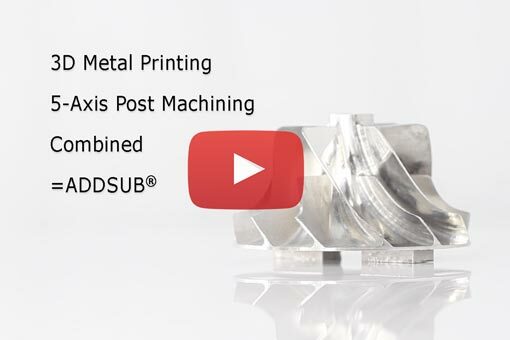 Watch how we combine additive and subtractive manufacturing techniques under one roof to create our AddSub® Service. When you’re ready to discuss your project, send us an enquiry and/or upload your CAD file to get your free quote. 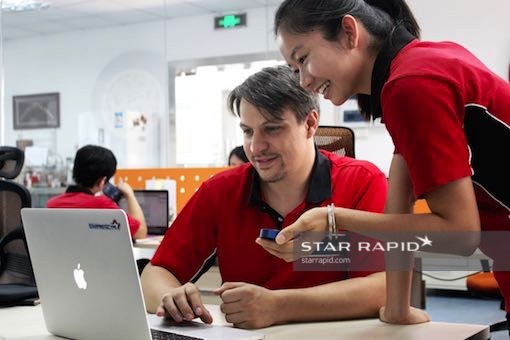 We are 100% focused on supporting your project with solutions that help get your product to market, fast.